Structure II Procainamide values (or pKb values) and this will have consequences for its solubility and absorption. where dw is the increase of the mass of material going into solution with increase of time dt; D is the diffusion coefficient of the molecules escaping from the crystal surface; A is the surface area of the powder or of the crystal (if it is a single crystal); 6 is the diffusion layer thickness; cs is the saturation solubility of the drug; and c is the concentration of drug at any time point, t.
It is quite logical that the rate of solution should increase as the available surface area for dissolution increases, so you would expect dw/dt to be directly proportional to A. D is a property of the drug molecule diffusing in concentrated drug solution. As the diffusion coefficient increases, one would expect the rate to increase. 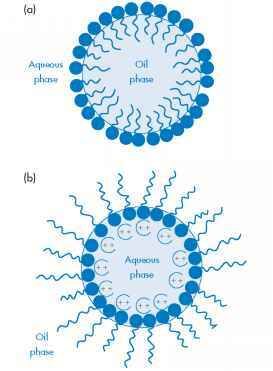 Diffusion takes place through a concentrated layer - the diffusion layer - and the thicker this is (i.e. the larger 6 is), the further the drug has to diffuse to reach the bulk of the solution, hence dw/dt is proportional to 1/6. The more soluble a compound is (i.e. the higher cs is), the higher the rate of solution; it is clear that if cs = c, then the dissolution stops. So, by thinking of a process logically, one can almost formulate the equation. Noyes and Whitney did this for us, and precisely, although each equation operates only under certain boundary conditions. Nevertheless, from the Noyes-Whitney equation one can predict accurately what the effect on dissolution will be if the solubility of the drug in the medium is increased, for example, by a change in pH. There are other equations for calculating the effect of pH on the equilibrium solubility, so this helps us get a quantitative view of the world.